In light of the tragic events in Ottawa and St-Jean-sur-Richelieu, the Harper government is looking to increase the powers of our national security agencies to combat terrorism. But the greatest challenge facing our security officials isn't a lack of powers. They already have plenty of them. The problem is a lack of funding. For years now, the Harper government has been cutting the national security budget and we're only now beginning to see the consequences in a striking way. With our vulnerability to terrorism just recently highlighted, the prime minister has placed our national security officials in a precarious situation. They are being asked to do whatever it takes to stop the next attack, but with significantly lower levels of funding. As a result, they are being forced to juggle their limited resources to make up for the shortfall. Just two years ago, spending at the Canadian Security Intelligence Service (CSIS) was slashed from $540 million in 2012 to $496 million the following year. The RCMP's estimated budget for this year is $2.63 billion, which represents a 5 per cent decrease from the previous year and a 15 per cent drop from four years ago. My Senate colleagues and I recently had the opportunity to ask senior RCMP and CSIS officials how they intend to address the government's renewed focus on fighting terrorism in the face of these cuts. CSIS Deputy Director of Operations Jeff Yaworski suggested the funding gap was forcing his agency to make sacrifices. In the context of monitoring high-risk individuals, he stated: "I would be foolhardy to say we have all the bases covered." RCMP Commissioner Bob Paulson suggested his organization is also feeling the financial pressure. "We're doing what we can with what we've got," he said. This includes shifting resources from other parts of the force, such as those dealing with organized crime. Allow me to translate all that bureaucrat-speak into English for you: There are still terrorist targets worth pursuing, if only we had the funds. CSIS should never be placed in a situation where it has to ration surveillance resources to the extent indicated to our committee. The St-Jean-sur-Richelieu attacker, Martin Couture-Rouleau, was on the RCMP's high-risk watch list, but wasn't being watched when he carried out his actions. If CSIS hadn't been on the business end of Harper's fiscal knife, maybe he would have been. This sad state of affairs is not only compromising Canada's anti-terrorism efforts, it is simultaneously making us more vulnerable to other types of threats as well. Hardly the actions you'd expect from a tough on crime government. 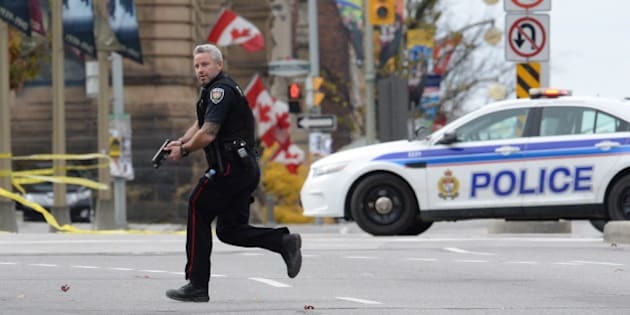 Shifting large numbers of RCMP officers from other duties to anti-terrorism only after an attack is also less than ideal. It takes years, some say decades, to effectively train an officer in counterterrorism. But the loss in the RCMP's capability in areas that have been impacted by these personnel changes is immediate. This is especially disconcerting given that some of the areas affected deal with equally serious threats to Canada's security. Organized crime, if allowed to flourish, can be just as destructive as terrorism, if not more so. With less Mounties on their case, mobsters and swindlers will have a freer hand. Relative to the money we already give them, the amount of additional funding our national security agencies would need to more fully counter the terrorist threat is substantial but not unreasonable. One of the more pressing responsibilities for CSIS and the RCMP is conducting surveillance. This activity is very labour intensive, as it takes roughly 32 individuals to follow one suspect surreptitiously 24/7 for an extended period of time. The cost of experienced personnel, including salary, equipment and overhead, would run around $150,000 a year. So, for CSIS and the RCMP to collectively follow 100 high risk targets, we're talking about a $240 million increase to each agency's budget. That works out to about a 10 per cent increase to the RCMP budget and a 50 per cent increase to CSIS', hardly an unreasonable increase for CSIS given that we are now at war with terrorists in the Middle East. If the Harper government is truly serious about keeping us safe, it needs to stop forcing our national security officials to scrape by with limited resources. For Canadians to be as secure as possible from threats, it is going cost money. But the expense is more than worth it.